Whether you need to flat tow a dinghy with a car, truck, or RV, you will most certainly require a tow bar. The tow bar is one of the most obvious and easily discernable components in a towing set up, as it is generally shaped in a large “V” formation, and lies between the towing vehicle and the dinghy being towed. It also happens to be one of the most central components, as it allows you to safely flat-tow your wheeled commodity. There are some important facts you should know about tow bars before setting up your own rig and hitting the road. Continue reading to review some basic information about tow bars, including the two common types on the market and their benefits. Tow bars come in a sorts of versions, all of which differ in towing capacity, mounting style, and overall design. The tow bar you will require for your dinghy set up will depend on these factors and more. Be sure to review the manufacturers’ instructions, as well as the owners’ manual of your towing vehicle, before setting up your tow bar. The two most common mounting styles for tow bars include car-mounted and RV-mounted tow bars. RV-mounted tow bars deliver precision and stability. Furthermore, they insert directly into the RV’s hitch receiver, which means there is no need for an additional connection point (a coupler) that most car-mounted types require. Although you won’t be using a coupler on an RV-mounted tow bar, you will need your hitch lock to secure the bar to the receiver. RV-mounted tow bars are also easy store, provide highly stable connections, improve safety, compatible with hitch adapters, and easy to adjust. Car-mounted tow bars are used on towing vehicles like cars, trucks, SUV’s, and vans. 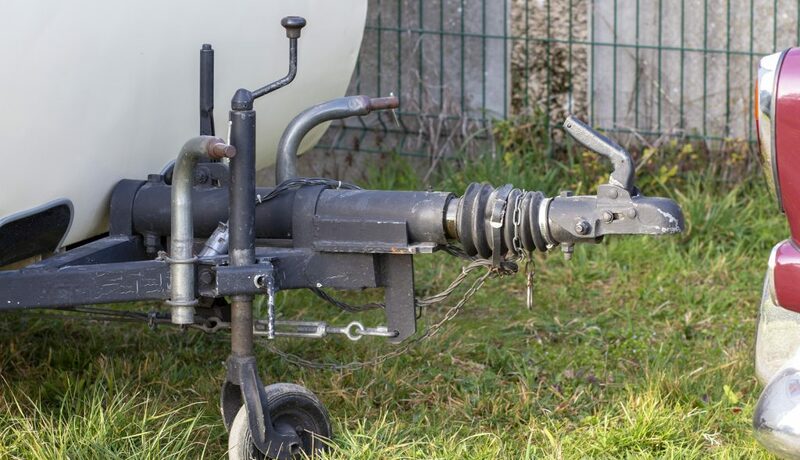 They came long before the introduction of RV-mounted tow bars, and still play a vital role in dinghy towing to this very day. They operate similarly to an A-trailer since they connect to the trailer hitch ball via an integrated coupler. Their integrated coupler can be locked to a hitch ball, adding more security and stability. Furthermore, they come in a range of sizes, including 2″ and 25/16” balls, and even pintle hitches. If you need towing help, call Zore’s Inc. at 317-247-8484 for friendly 24 hour towing and recovery in Indiana. We open a family-owned and operated business for 90 years, so you can trust us for prompt and professional service. We are open 24 hours a day, seven days a week, and 365 days a year, so our certified tow truck operators can be there for you anytime, any day! Request free estimates, anytime. This entry was posted in RV Towing, Towing and tagged 24 hour tow truck Indianapolis, car mounted Tow Bars, facts Tow Bars, rv mounted Tow Bars, rv Tow Bars, Towing Safety Tips, Types of Tow Bars. Bookmark the permalink.